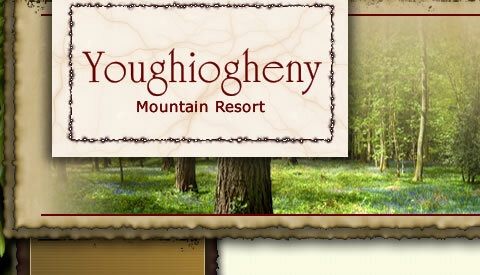 Nestled in the scenic mountains of western Maryland, the members of the Youghiogheny Mountain Resort community enjoy peaceful surroundings, beautiful views and abundant wildlife. The Youghiogheny Homeowners Association is glad to have you as a neighbor. Our community is unique in that we have over 2400 acres, around 43 miles of roads, 32 mile of maintained roads (mostly gravel) and over 13 miles of trails for hiking and other activities. The YMR offers something for everyone. 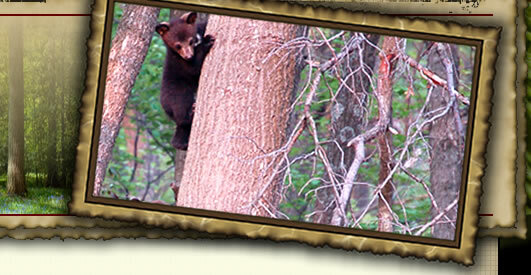 We have several fishing areas and a designated hunting area. The Youghiogheny Mountain Resort is located only minutes from Deep Creek Lake, The Wisp Ski Resort, Swallow Falls State Park, Herrington Manor State Park, Garrett State Park and many other attractions. This website is maintained by the YHOA and is designed to be a communication center and an information resource for our residents. Check here often for updated information and new content. Please feel free to Contact Us with your comments and suggestions. You must register to access the “Members Only” section of our site. If you are not currently a member but are interested in becoming one, please check out the real estate section. We offer a limited number of parcels for sale each year. The board has been researching online voting for the yearly Board of Directors election, we have discussed it in a few Membership meetings, and received positive feedback. The cost of mailing out approximately 900 paper ballots is about $2,500.00, but only 10% of the membership actually vote. This will be the last year we will be mailing out paper ballots to the entire membership, after a unanimous vote by the Board. Voting will take place online on the website. Paper ballots will still be available at the office or mailed to members as requested, more information will be mailed out with your next ballot. Office hours with Laura Newhall are Fridays from 4PM to 7PM and Saturdays 9AM to 12 NOON. Additional office hours can be arranged by appointment. Please call the office at 301-387-9625 or email youghmtn@outlook.com to arrange an appointment. Please bring a dish to share and BYOB!